3.9 out of 5 based on 24 bloggers and 3 commenters. 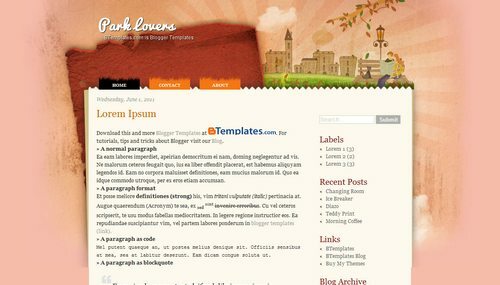 Park Lovers is a free blogger template adapted from WordPress with 2 columns and right sidebar. I liked this template, say, a width of the sheet as you can then increase it?